Last month, I wrote about how difficult it is to get financial support for Jewish culture outside of the boilerplate priorities of the Jewish communal establishment. Then, this week, an outstanding example of how this works in practice appeared in the Los Angeles Times. As readers of the Times and Yiddishkayt’s supporters know, our discovery of the destroyed grave of the writer Lamed Shapiro and the ruined Mount Zion Cemetery grabbed a good deal of attention when it ended up on the front page. This week, the resting place of this great Yiddish writer was back in the news, although this time all mentions of Shapiro, Yiddish, or Yiddishkayt were gone. 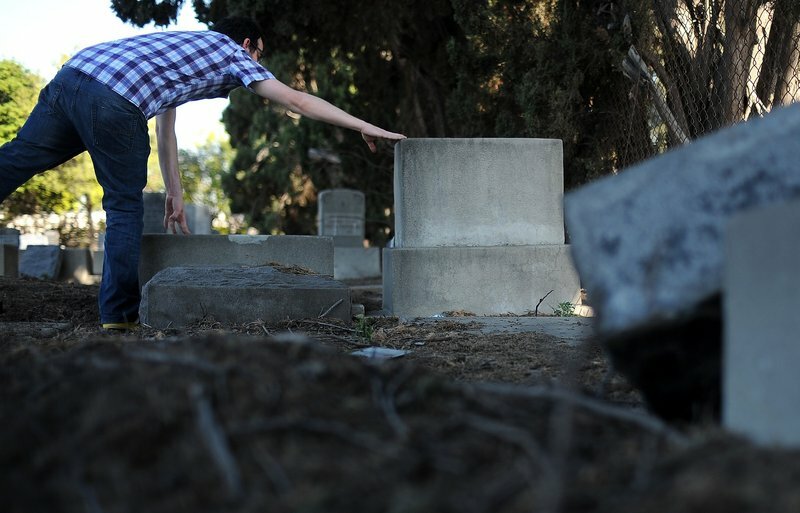 After reading the original article, a local Chabad rabbi was motivated to do some fundraising and rushed headlong in on his own to give the long-dead residents of Mount Zion a proper, pious re-burial. The expression “a shande far di goyim” carries a sense of Jewish “dirty laundry” aired publicly. This keen awareness that Jews close ranks, unite in a common face against perceived or real threats, has a long history in Jewish life and letters. What is happening in the Mount Zion of East LA points to how Jews react to a “shande” and is especially interesting to those of us who work in languages, because that Yiddish word — shande, a cousin to the English word “shame,” derives in its earliest sense from a root meaning “to cover up,” as in to cover up one’s embarrassment. Seeking out, uncovering, and putting on view the forgotten, often intentionally-obscured, great treasures of Jewish life has been the work of Yiddishkayt for nearly two decades. In this shande, we see the reflexive response of a Jewish community establishment that seems highly attuned to appearances and to covering up; going as far as literally interring things that “look bad.” Rather than to look at what a neglected cemetery might tell us about a community’s relationship to its past or reconsider the disregard shown to its once-distinguished cultural icons, the immediate reaction was to cover our collective shame and get renovations started. Seeking out, uncovering, and putting on view the forgotten, often intentionally-obscured, great treasures of Jewish life has been the work of Yiddishkayt for nearly two decades. And now we watch, yet again, as religious and business leaders, together with executives of the Jewish Federation — who was for the past half century officially responsible for the Mount Zion Cemetery (and in many ways responsible for cutting off the Eastside from the Westward-moving Jewish community) — stand in the ruins of Jewish life on the Eastside and congratulate one another for what seems destined for a future episode of Extreme Cemetery Makeover. Indeed, it is a shame that a local cemetery lies in disrepair, like so many neglected sites of once-thriving Jewish culture globally. But the greater shame is to look at those ruins as an eyesore that need a little TLC and poured concrete, rather than to take a concrete look at why those ruins are there. 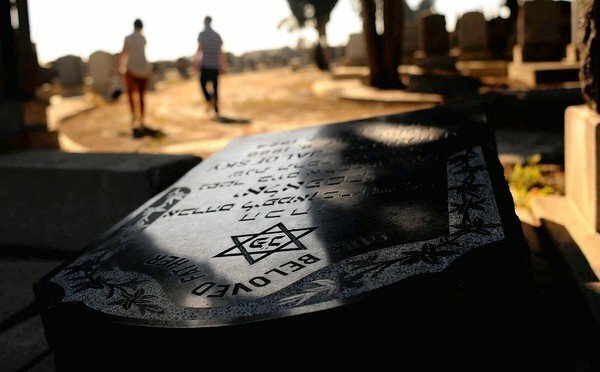 The new Chabad initiative to sanctify burial sites and recite blessings over the often radically secular (even anti-religious, Communist writers such as Shapiro) is one of the most tangible ways we see our cultural history being renovated. And it is being overhauled — with no discussion or debate — to match the ways that some might prefer Jewish culture to look, rather than what Jewish culture really was. In the heart of Berlin, there’s a famous landmark, the Kaiser Wilhelm Church, known to Berliners as the Gedächtniskirche, or Memorial Church. 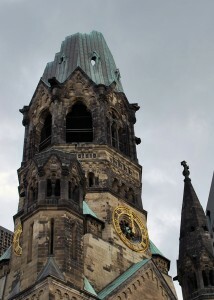 Its spire was destroyed by Allied bombing in 1943 and, after the war, the city maintained the spire in its ruined condition as a war memorial. While the Gedächtniskirche sits in the heart of a commercial center of Berlin, the landmarks of Los Angeles Jewish history lie forgotten outside the view of most members of our city’s Jewish community. For whom, then, are these ruins being repaired? For the sake of the dead? For the few who make appointments to visit this particular cemetery? For the handful of lovers of Yiddish culture, who pay tribute to one of our city’s major writers? Or is it merely a veneer to put a kind, dignified appearance on a part of our history that many apparently wish to forget. Clearly, it may be more expensive, but in the end, it is far more simple to undertake a renovation project or launch a capital campaign than to engage in frank discussions about our history and its relevance on our lives today. There is no doubt that the official representatives of the Jewish Community today are expert in memorials and remodeling, but seem to shy away from the living and from lived history. Which is a real shande, for it is a history that includes bold coalitions across religious, ethnic, and linguistic boundaries; the tragic results of a community’s capitulation to anti-communist and Jew-baiting hysteria; and failed attempts to resist cultural obliteration. It is a story perhaps too pressing or too relevant to pass on to future generations and perhaps far easier to call in a team of contractors to spruce up.